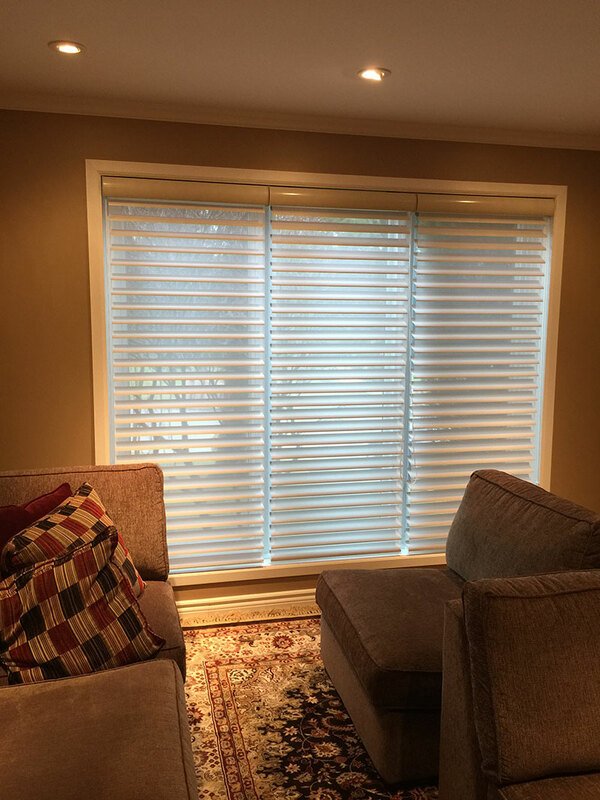 For this project, Shade Works used two different window coverings from opposite ends of the spectrum to create the ultimate custom experience. In the bedroom, we used a very functional, cost effective and reliable 2” Fauxwood Horizontal Blinds (Collection: Standard, Colour: Snow White). 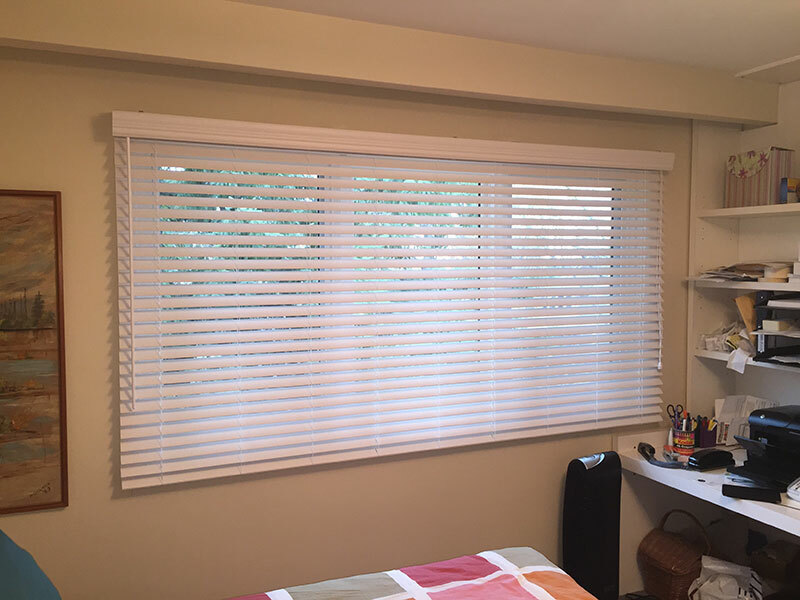 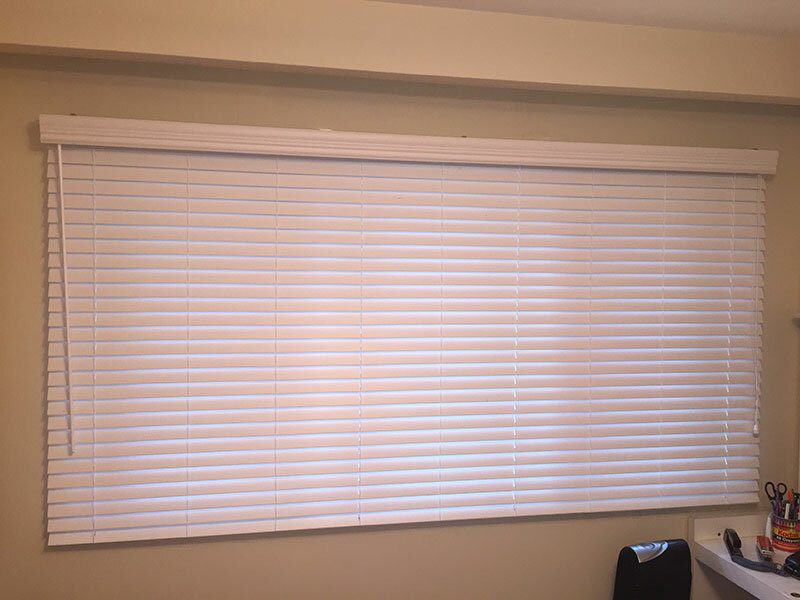 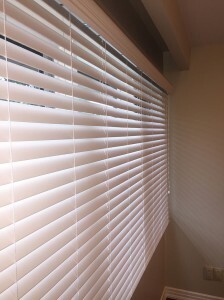 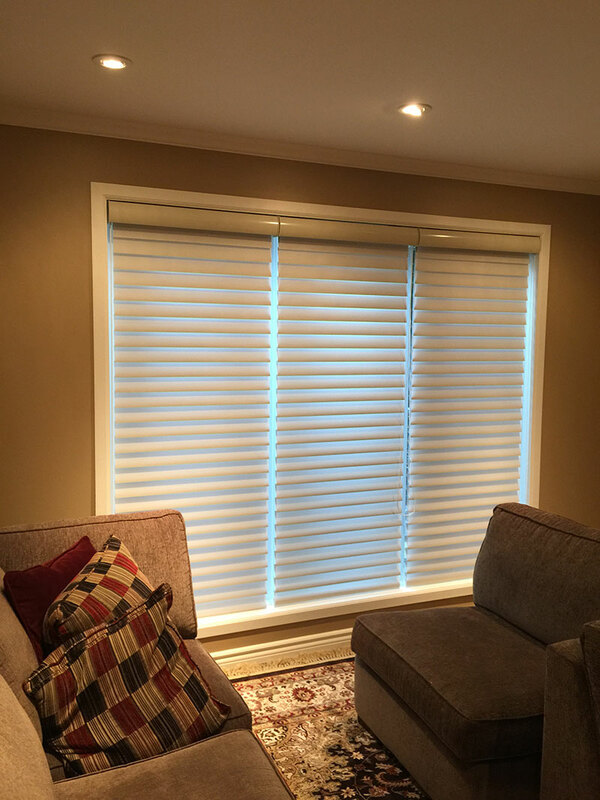 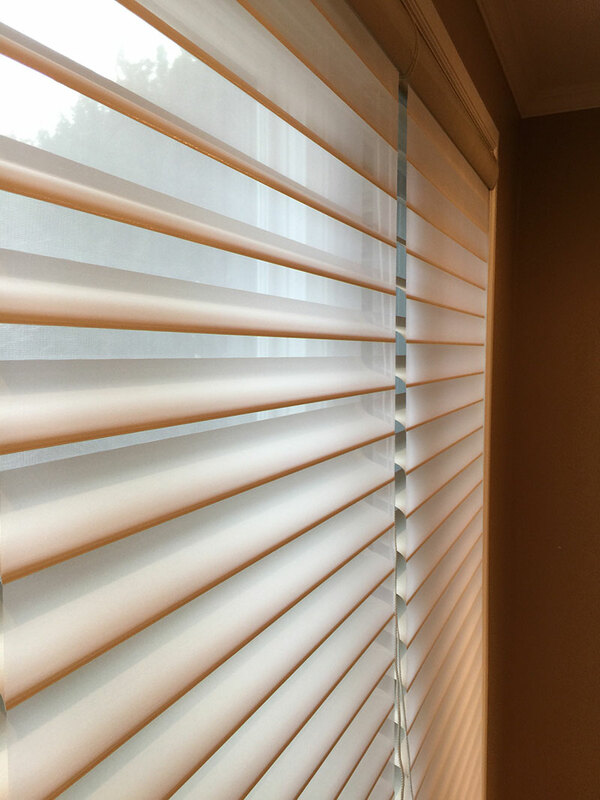 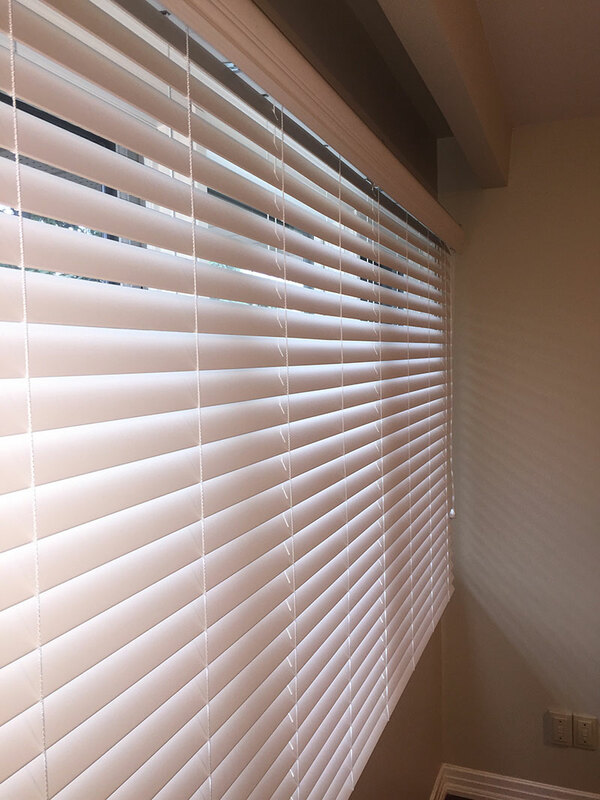 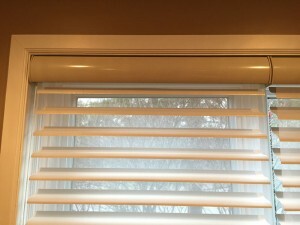 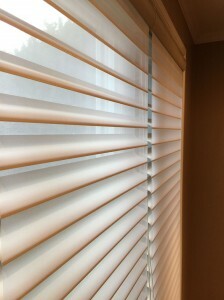 These window coverings allow you to open and close the slats as well as completely lift up the blind. 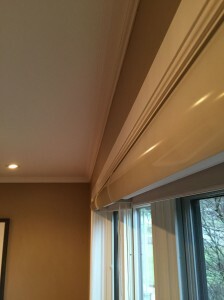 It also comes with a decorative valance at no extra charge! In contrast, the living room windows were covered in a classier and more elegant style with our Premium 3” Room Darkening Sheer Horizontal Shades (Colour: Cream). As you can see from the photos, these shades do not have to be raised to offer view to the outside and when closed block the light and remove the glare off the TV screen. 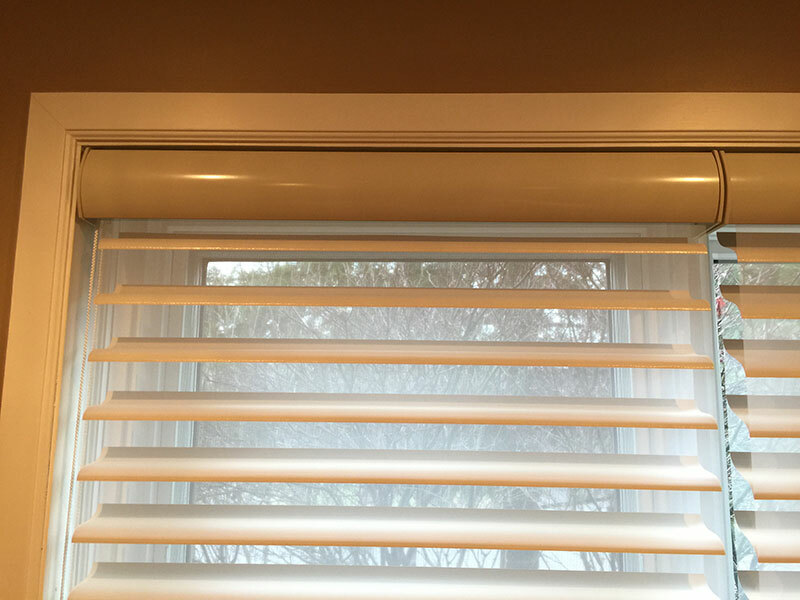 These shades can do it all!